Well where do we even begin with this one? As I initially sat down to write this report, I was not even sure I could recollect all of the course, such was the wave of emotion and mental turmoil that I suffered during this race. Don’t get me wrong, the event itself is superb. Professionally organised by the team at Threshold Sports from start to finish. It was a slick and polished operation, which you would expect from the team that regularly tops the awards lists for its events. Yes, there are a few details that could be tweaked to improve things, especially for the double marathon runners, but overall I have nothing but praise for The 2018 HEINEKEN Race to The Tower. For those that read my pre-race thoughts, you will know that this was my first race back since injury and as such, was a voyage of discovery. This in itself did not help my mental state. It also turned out to be a hot day too, not my kind of weather! A four day trip to the US in the week before the race, was not ideal but I tried to manage things by focusing on my nutrition, hydration and keeping my body clock as close to UK time as I could. As race day approached I felt quietly confident. I had managed some good back to back weeks training. I had lost weight and had even started to secretly think about target times. But more on that later. For those that cannot face wading through my full in-depth report, lets start with a quick summary of my 2018 HEINEKEN Race to The Tower. I ran well into the final checkpoint, with a quick turn around and then totally smashed it to the finish! I eventually finished in a time of 10:17:28 and amazingly, in 24th overall out of nearly 500 competitors, 5th in my age group! My build-up to this race was less than optimal, as I flew out to the US on the Monday before the race. I had been working on my diet in recent months and so played with some intermittent fasting while away, to try and keep my weight down. I also made an effort to keep my sleep patterns as close as possible to UK time but despite all this, I still felt pretty groggy come the Friday morning. The overseas trip, straight off the back of a family holiday, meant that I was frantically packing on the Thursday night. I had been writing lists all week, trying to remember my pre-race drill. This was my first race in eleven months and what used to be automatic, now felt confusing and I was constantly remembering details of my pre and post race routine. My plan was to travel over to Worcestershire the night before the race and stay near the finish at Evesham. I was booked to take the 06:15 bus back to the start, getting me there 30-40 minutes before the first wave set off at 8am. I made good time to Evesham and soon had my kit in my room and sorted ready for the morning. I did a quick yoga session, to try and ease my muscles out and then drank some Mountain Fuel Night Fuel and jumped into bed just after 10am, with a 04:15 alarm set. Despite my best efforts, pre-race nerves and jet lag meant that I didn’t get to sleep until nearly midnight, not the best preparation but I have been here before, so tried to remain positive. I had been conservative with my pre-race objectives but as I lay there I was quietly confident. I was feeling fit, strong and was the lightest I had been in years. Could I place well? Could I manage to go sub ten hours? These thoughts rolled around my head and I tried to put them to the back of my mind. In the end I played some music on my phone to act as a distraction and finally fell asleep. An early morning alarm is never a good thing but today I bounced out of bed. For months I feared that race day would never return but here is was, I was about to run an ultra marathon. All my months of training and rehab had brought me to this place. I was still uncertain how it would go but I was looking forward to getting back out onto a race course and testing my body. My usual pre-race meal of Mountain Fuel Morning Fuel, porridge, coffee and banana was quickly consumed and I ran through another quick yoga routine to help ease my muscles and joints, and calm my nerves. At 05:30 I was in the car as planned and driving towards the start. 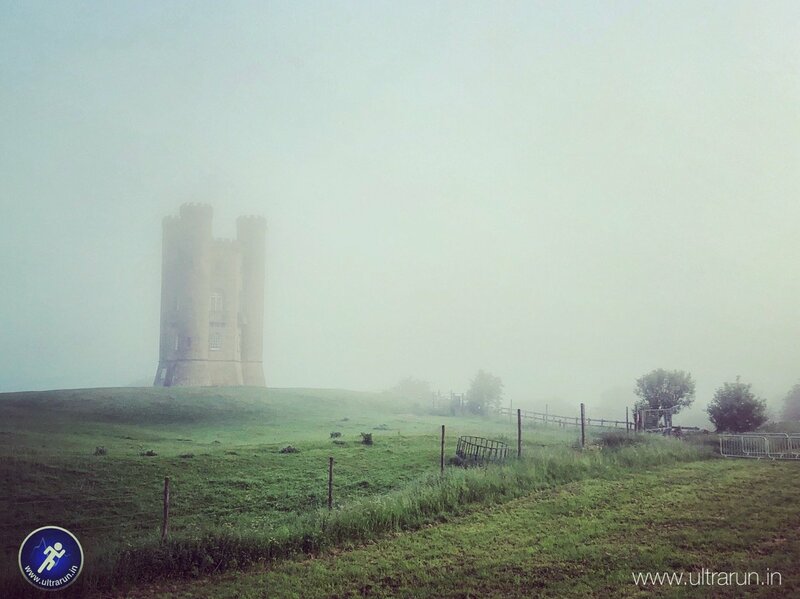 It was a misty morning at Broadway Tower but I was quickly parked and grabbed my gear and joined the queue for the bus. Threshold Sports had a well oiled machine in operation and we were quickly loaded and dispatched, for the seventy minute drive south to the start. I was drinking slowly, trying to get myself as hydrated as possible before the race start. I had made my first mistake and had forgotten to bring enough Mountain Fuel with me. I was following their full system and had intended to drink a bottle of Mountain Fuel Extreme Energy in the hour or so before the race but had only packed enough for the race itself. Quick note to self, always pack an extra portion at future races. Instead I drank water with a Nuun tablet and slowly ate another banana and a handful of nuts. Bang on schedule, we arrived at the race start at The Bird in Hand, at 07:25. The early morning mist had burned off and the sun was beating down. This was a minor concern to me, as the weather forecast had been for overcast skies in the morning, clearing in the afternoon. I had not applied any suncream but had some with me. The early parts of the race would mainly be in woodland, so I decided to leave the suncream and stick with my orange lens in my glasses, to ensure I had good visibility of any roots underfoot. Again, the organisation at the start was in full swing and there was music playing and plenty of information shared over the tannoy. The queues for the toilets were long and once I reached the front the race director was already calling the first wave of starters forward for the race brief and warm-up. I quickly grabbed my t-shirt and dropped my bag to return to the start and hurried towards the start line. The race notes had talked about a map we would be given, which I remembered I didn’t have. Our race numbers had been sent out in the post, so I quickly ran back to the marquee and checked at the information desk. It turned out the map was the one within the race notes, which was a trace at best. I quickly grabbed a copy and shoved it into my pack and hurried back to the start. I was starting to feel rushed. I had a warm-up I needed to do, to engage my adductors and glutes and was worried I wouldn’t have time. There was still ten minutes to go, so I breathed deeply and got into it, while listening to the pre-race brief. The race director was full of energy and trying his best to pass this onto the runners. This made me feel tense and rushed but I focussed on my warm-up and managed to complete it in full. I positioned myself towards the back of my wave, tried to calm my nerves and waited the final few minutes before the start. At 07:58, two minutes early, we were sent on our way and my ultra running career was on again! Leg 1: Bird in Hand to Painswick. My plan, as always was to ease myself into the race, run at my own pace and listen to my body. We ran across the field, to cheers from spectators and were soon through our first of many gates and heading down the road. The first leg was less than 10km, so I was only carrying a single water bottle to keep the weight down. Looking around me, many people were running with far less kit than me or even nothing at all. As I mentioned in my pre-race thoughts, rather than a mandatory list, Threshold issue a recommended list. Many had obviously taken advantage of this and carried as little as possible. I wondered if I should have taken the same approach, although it was too late to do anything about it now. I consoled myself by thinking it would be good training for Lakeland 100, and got my mind back onto the running. We had been warned that there would be nearly 160 gates along on the course, each of which would be clearly numbered, so we could mark our progress. There would be markers every mile as well, along with more than two thousand arrows showing the route. I have to say this worked really well and there was absolutely no need for a map at all, as every junction was clearly marked. Threshold had even added signs after most junctions, warning this was the wrong way to those that missed their turn, a great touch. I moved my way up through the runners, finding the pace slower than I liked towards the back and keen to let my legs turn over at a natural cadence while I eased into the race. Even from the off it felt tough going and I lacked any sense of freedom in my legs. Checking my watch, my heart rate was incredibly low, a sure indication I was carrying too much fatigue. So much for my plans to avoid jet lag, maybe my taper was not long enough? Either way, I was tired and could feel it. Note: it turns out the low heart rate readings were actually due to a low battery in my heart rate strap. Putting this to the back of mind I focussed on running. 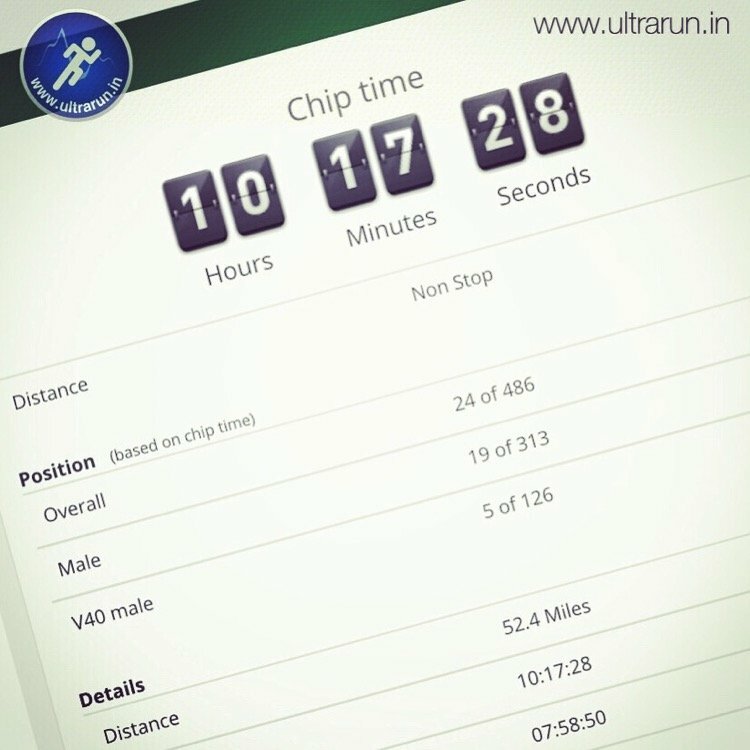 I always joke that it takes me thirty or even forty kilometres to get into a groove when I run an ultra. I tried to have confidence that this would be the case here as well and that my body would switch itself into the right mode eventually. I was making good progress through the field as we ran the initial four kilometre loop, west out and through Ringhill Wood, before turning back east and passing close to the start once again. As we ran down a track towards Stockend, I was following a group of runners. By now I was running in and around people who were running a similar pace to me, so I was happy to sit in. Ahead the signs clearly showed a turning right off the track and uphill. However the group in front sailed past, heads down and focusing on the downhill. I quickly shouted a warning and turned off the track and started the climb uphill. I was now at the front of the group, which meant I had to focus on my own pace but also allowed me a clear view of the trail ahead. We quickly reached the top and the trees opened out as I ran downhill through Maitland Wood and over Edge Common. As we entered the village of Painswick, we turned up the Main Street. My natural instinct was to walk, saving my legs for later in the race and trusting that I could walk uphill as fast as many ran. However everybody around me continued to run the inclines and I found myself joining them. Peer pressure is a wonderful thing! As we left Painswick I finally forced myself to slow and walk, and people slowly passed me and pulled away. I was still finding it tough going and felt that I needed to ease the load on my legs. As we ran back into the woods, the first checkpoint appeared before us. This was well organised, with a wide range of bars from sponsors, fruit and cold drinks and water. I loaded up both my bottles, as the day felt warm and it was just over thirteen kilometres to the next checkpoint. I grabbed a banana and ate it quickly, dived into a portaloo for a quick comfort break and was quickly on my way. I may have felt rubbish but forward momentum was key. Initially we ran through Painswick golf course before returning into the trees. This leg was mainly run through a series of woodlands. Staring with Popes Wood, followed by Upton Wood, Coopers Hill (the infamous Cheese Rolling Hill) and Peak Plantation. It was mostly runnable ground, with some steeper climbs and the occasional mud patch, which were easily avoided. By now I was running in and around a number of other runners, a few of them were chatting and I was happy to sit in and listen to the conversation. I didn’t feel ready to join in and was lost in my own thoughts, analysing ever ache and pain I was feeling. The mental demons, which have haunted me in previous races, had returned and were having a field day. Again, many were running the steeper inclines but I was forcing myself to drop to a brisk walk and march them out. In many instances I would catch the other runners before we reached the top or would quickly rejoin the group afterwards. Twice I stopped, once for a comfort break and another to tighten my shoe laces. Again, I was able to quickly catch the group without any effort. They were obviously moving slower than my natural pace but again I was grateful for the company and distraction their conversation brought, so I dropped in with them, occasionally taking the lead. To add to my woes, my stomach was starting to cramp. It was low down and obviously trapped wind, which was gently starting to ease its way out – too much detail? It was another item to add to the demons list of reasons why I shouldn’t be an ultra runner, why I wasn’t fit enough and why I had no hope of doing Lakeland 100 in a few weeks time! It was obvious that mentally I was in a bad place. I had no desire to take photos, a clear indicator of my level of positivity. Instead I got my head down and watched the mile markers tick by, hoping against hope that my body would kick into ultra running gear and I could start to enjoy the race. The checkpoint arrived soon enough, with a clear path mown through a meadow towards it. Once again, there was a decent spread laid on, with a variety of sponsors products available to eat. I had not finished my water bottles, as I had not felt thirsty and was obviously well hydrated due to the toilet stops I had made in the woods. I quickly used a portaloo before topping up one of my bottles and grabbing another banana and a cereal bar. I also took the chance to drink a cup of flat coke, hoping the sugar and caffeine would kick me into gear. With the peeled banana in hand I left the checkpoint and started walking up the road, munching away. Ahead lay the shortest leg in the race, at just 7.6km. The first real eye opener was an albino housing estate which we passed, with every house built with the same colour bricks. Not so unusual I hear you cry, well what if I was to say that the roof tiles were the same colour too? It was a bizarre looking place and for a while I felt like I was running through a film set or an artificial world, like The Truman Show. We were soon heading uphill again, turning towards the Cotswold Escarpment, which would soon give us panoramic views over Gloucester and Cheltenham. Once again, I was running with the same group I had run into the last checkpoint with. As the path dropped towards the A417 dual carriageway, I had a sudden fear we would be climbing alongside it. Nothing to worry about though, as the path immediately turned left and headed uphill and by uphill I mean straight uphill! Now I have done a number of races in hilly locations, such as The Lakes or Yorkshire Dales but I am yet to experience a climb as steep as this. On and on it went. It was so steep I couldn’t get my heels on the floor in places and I could really feel it in my calves. I was climbing with Rob (Moore), who I would run with on and off for over half the race. We chatted as we climbed and as we crested the top, the ground opened out and we were treated to the promised panoramas. A race photographer was ahead, forcing us into a run. I was still feeling negative about the whole experience but forced myself into a run and put a smile on my face. What is it about cameras that make us smile? Inside I was not having fun. The countryside we were running through was beautiful and it was a stunning day but I was feeling like I was dragging myself around, questioning why I was here and my future as an ultra runner. Let me be clear here, my thoughts were no reflection on the race itself. 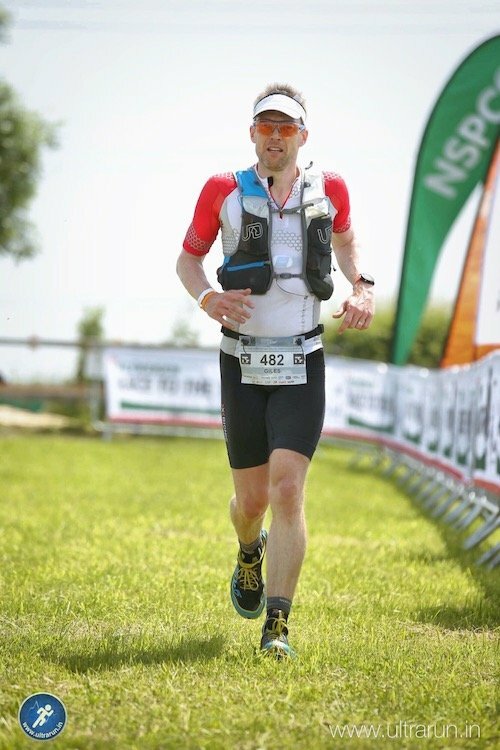 My negativity was my own doing, probably a reflection of the fatigue I had obviously carried in and my own unspoken fears about whether my body was capable of running ultras anymore. The stomach cramps were also getting worse and it was uncomfortable, although not painful, when I stopped or started to run. We ran through Short Wood, familiar ground where I have previously stopped with my family, to break up long road trips along the nearby M5. I chatted with Rob as we ran but as we hit yet more climbs he pulled ahead, as he was happy to run while I would drop to a brisk walk. Once over these I would quickly catch him up and as we hit the road, for the final mile to the checkpoint, our larger group reformed. As we ran along the narrow path beside the road, my whole race nearly came to a sudden stop as my foot got caught in a hidden metal loop on the ground. Somehow I managed to stay on my feet and removed it and threw it in the hedge. Relieved to still be in one piece I quickly pulled back to the group ahead and together we arrived at the third checkpoint in the car park of the National Star College, to cheering and cowbells from the friendly and enthusiastic staff. A longer leg this time but at least the half way point and completion of the first marathon was the carrot at the end of this one. Packs of Penn State Pretzels were on offer this time, amongst the other goodies, so I grabbed a bag as I fancied something salty. I filled both my flasks, drank some flat coke, another cup of water and was on my way. Initially we ran downhill on the road but were soon back on the trails, running through the farmland and woods above Cheltenham. There were some beautiful houses along this stretch, many fit for an episode of Grand Designs. Our group had fractured a bit and this time I found myself running with Rachel (Beecham) and we chatted, comparing injury notes. It turned out we were both returning from stress fractures, Rachel’s far worse than mine, and we discussed our rehab and shared our fears about how our body’s would hold up to the race. This was local ground for Rachel, who lived in Cheltenham and it was great to have her company as we ran along. Despite this, I was still struggling mentally and was starting to feel really tired, in addition to the stomach cramps and general aches and pains. A hot spot had been developing on my right heel for the past hour or so and I was kicking myself for making my second mistake. In recent races, I have always used one of my old mountaineering tricks and taped my heels before a race. I had totally forgotten about this and planned to rectify it at the next checkpoint, as it didn’t feel too bad. I hoped I wouldn’t come to regret my oversight. I dropped back from Rachel slightly on a climb and walked for a bit, eating some pretzels and alone in my thoughts. I was not having fun and was desperate for the next checkpoint to arrive. Soup and other hot food was promised there and despite the heat, I hoped some soup could help settle my stomach and give me the lift I needed before the second marathon. I resolved to therefore stop longer at the next checkpoint and try and sort my feet and stomach out before moving on. I caught Rachel as we crossed the A435, to more encouragement from spectators. As we climbed up and around Lineover Wood we chatted more and I shared how I was feeling and the need for some real food. Rachel was hoping to meet her family shortly after the next checkpoint, so planned to push through and use the sandwich she was carrying as her snack. The temperature was rising and I was really starting to feel the heat. Rachel mentioned how bad the horse flies had been the other weekend when she had run through this area and I hoped they wouldn’t be around today. A long drag uphill though the trees, finally saw us approach the next checkpoint at Colgate Farm. Here, those tackling the course over two days would stop and party into the night. For those of us tackling both marathons in one day, it marked the half way point in our journey. Music was playing and there was a good atmosphere as we arrived. For the first time in a while, I felt happy to have reached this milestone and looked forward to having a longer stop, getting some food into me and sorting out my feet. I even managed a short dance to the music, much to the MC’s amusement. Those of us running on from here were funnelled right, away from the finish gantry, where a small tent marked our half way pitstop. Strangely this was the smallest checkpoint so far in terms of choice and there was no hot food in sight. First order of the day was to sort my feet out though, so I sat down on the grass and got some zinc tape out. The good news was that there was no visible damage to my right heel. The bad news was that the combination of a pre-race liberal application of Gurney Goo and sweat, made it difficult to get the tape to stick. I did the best I could and put my shoes back on, hoping my socks would help hold the tape in place. I had promised that I would try and do some social media posting during the race but had managed nothing so far, other than a short one before the start. I took a quick photo and shared how I was feeling. It was quite negative and I guess it was a virtual cry for help, which I felt I needed to share. I also sent a text to my family to give them an update on how I was progressing and my state of mind. The sun was getting quite strong now, so I quickly took the chance to apply some suncream to my arms, forehead and neck. Rachel had moved on to try and find her family and other runners were arriving and either finishing for the day or grabbing more water and food, before heading back out onto the course. I refilled both my bottles and drank some more coke and water. There was no hot food available and no guidance on where to find it. Portaloo’s were visible on the far side of the field, so I decided to give those a miss, as my need wasn’t that great and it wasn’t worth the lost time to head over to them. It was then that I struck nutrition gold, in the form of oranges! These have always helped me in the past when I have had stomach cramps during races and I tucked into them, hoping they would have the same positive impact here. There may not have be soup but the oranges tasted great and I prayed they would do the trick. Oh well, time to crack on. One marathon done and another to go! We were now inbound to the finish but it was still a long way to go. That said, a 4:35 hilly marathon while feeling less than optimal, was not to be sniffed at, and I tried to hold that positive thought as I ran away from the checkpoint, the dance music and the laughter. An initial path uphill soon dropped me onto a lane, heading up towards Cleeve Hill, the highest point on the course. The field had really thinned out now, as a surprising number of runners had stopped at the half way point, delaying their journey onto Broadway Tower until the following day. I was running on my own as Rachel, Rob and the others I had been running with, were now long gone, having pushed on while I stopped to check my feet. I regretted not packing my iPod or headphones. For years I had carried them during races but never used them, which is strange seeing as I always train listening to podcasts or music. I definitely felt like I needed the distraction now and kicked myself mentally for my decision. My family had obviously seen my social media post, as I received text messages of encouragement from my wife, sons and sister. As I walked I used the slow pace to read these and respond, having a brief text exchange with my wife and sons, who encouraged me on and told me I was doing great. I felt far from great that was for sure! It was hot and I ran where I could but took advantage of the uphills to slow to a brisk walk and make the most of any shade from the trees. I caught and overtook a couple of runners and as we left the road and headed out towards Cleeve Hill Common, I could see Rob ahead of me in the distance. Once again I was back on familiar ground and the scene of my evening running exploration in the Cotswolds, while driving south for a meeting with work. Even though I remembered this section as being particularly beautiful, it didn’t lift my mood much as we slowly ran and walked the incline towards Cleeve Hill. Shortly before the summit, I caught up with Rob and another runner who had been part of our group earlier in the day but whose name I never got, sorry about that. Runner X, as we shall call him, was struggling with tight quads, so we all took the option to walk to the summit of Cleeve Hill chatting amongst us ourselves. 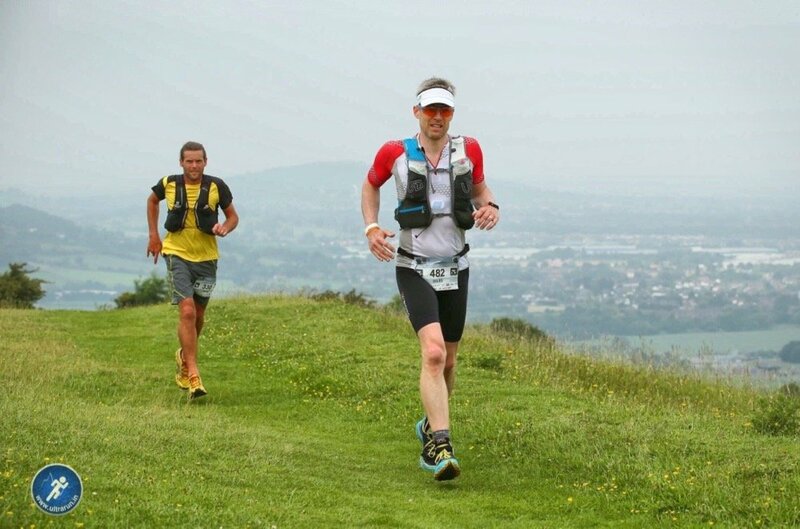 The company proved a good distraction from the demons in my head and as we arrived on top of Cleeve Hill, Runner X was delighted to find his parents waiting to cheer him on. He paused to chat, while Rob and I elected to push on, dropping down the front of the hill before contouring around to the golf course club house and car park. Again, Rob ran ahead of me on the climb up to the car park, as I elected to walk. I soon caught him up once I started running again and together we ran down into the valley, towards the next checkpoint at Postlip Hall Farm. I am not sure if it was the company, the fact we were over half way, the oranges I had eaten at the last checkpoint or the familiar ground but I was starting to feel stronger and more positive now. In truth I am sure it was a combination of all of those factors. The stomach cramps were definitely finally easing. Thank you oranges! As we descended into the valley, I was happy to lead us towards Postlip Hall Farm, passing lots of supporters out to cheer their families on and happy to encourage us as well. The road kicked up gently as we approached the checkpoint, so again I dropped to a walk as Rob ran on but I was soon also running into the checkpoint in the middle of the farmyard. With a slightly longer leg to come, I once again reloaded both my bottles with Mountain Fuel and Nuun and drank some coke and water. Another runner arrived shortly after me (Jared Kropach), who would run near me for the remainder of the race. Once I had loaded my bottles, not having had any soup at the previous checkpoint as planned, I headed to the food table to see what was on offer. I was graving something savoury and the marmite sandwiches looked perfect. In recent months I had been trying to remove bread from my daily diet, in an attempt to clean up my nutrition as part of my recovery. I was therefore cautious about consuming bread during the race, worried what it would do to me after abstaining for so long. I decided however to throw caution to the wind and quickly ate two small portions, ditching the crusts as a hat tip to my fears. Some more oranges were consumed and despite enjoying the shade of the barn, I knew I needed to push on and so headed back out once more into the afternoon sun. A quick check on the data shows I was only in this checkpoint for four minutes but Rob was even quicker and I could see him a few hundred metres ahead of me down the track. Jared and I left the checkpoint together and we dropped across a meadow into the welcome shade of the trees. As the route headed uphill, I once again dropped to a walk and exchanged a few more text messages with my family. Alone but still on familiar ground, I still felt low but not as negative as I had before. We climbed up and then back out into the open fields for the long drag up to the burial mounds at Belas Knap. At this point the horse flies arrived in vengeance, which was annoying to say the least and downright irritating at worst. I was getting bitten and was constantly swatting with my hands to try and clear the horse flies away, eventually deciding that running away from them was the best approach and so on I ran. On the climb to Belas Knap, running now, I overtook a few runners and soon caught up with Rob once again. Together we rounded the mounds and then headed back downhill. It was a long and almost enjoyable runnable section down through the trees and fields towards Winchcombe. On entering our second section of trees we came upon Rachel, who was with her family and we said a quick hello as we passed and pushed on. Ahead a rather noisy cricket match was taking place on the edge of the village and soon we were passed it and into the village itself, running up the main street. We were now well into the afternoon and many people were out, a large number applauding and shouting encouragement as we passed. On the edge of the village, a number of cars were parked, who were obviously out to support other runners. A family were waiting and the daughter of one kindly offered us both a jelly baby as we passed, which I took. Never has a jelly baby tasted so good, thank you! What followed was another fairly runnable flat section through the fields towards the next checkpoint at Hailes Church. Rob and I chatted as we ran, with Jared slightly ahead of us with his headphones on. My legs were starting to feel tired and I commented as much, before realising we had been running for the last five kilometres, since before Belas Knap. How I wished a climb would appear as an excuse to walk for a bit but while the ground remained runnable and my legs could turn over, it seemed criminal to slow down, so I pushed on. Finally the checkpoint could be seen in the trees ahead of us and with a slight increase in speed we arrived and the checkpoint staff swung into action. Water spray was offered, which I gratefully received and then immediately regretted as the suncream and sweat ran into my eyes. Ahead of us lay a long fourteen kilometre stretch to the next checkpoint, followed by a much shorter final stretch of just over eight kilometres to the finish. At last I started to think about the finish. 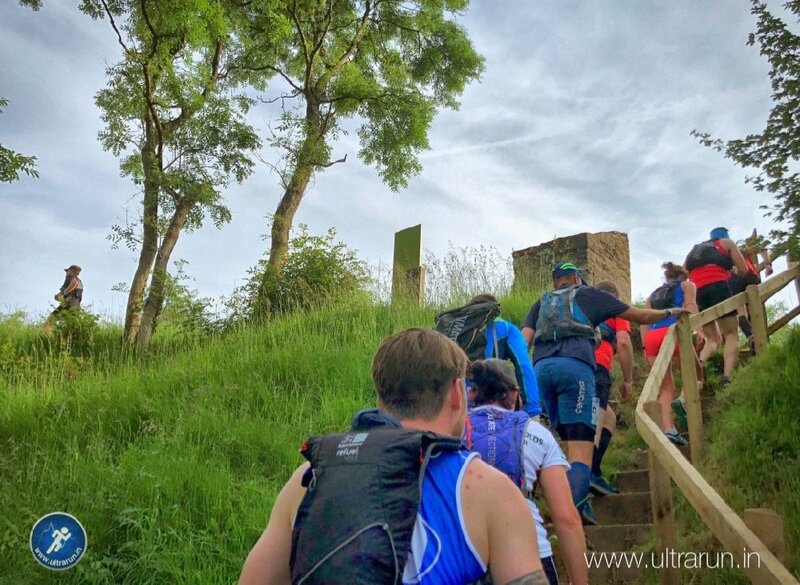 If we could just get through this next section, the last would be easy, with the exception of the final mile long steep climb up to Broadway Tower of course! As I loaded both my water bottles, Rachel arrived and was obviously in some discomfort with her calves. Her family, friends and the medics helped her, so I steered clear and focused on the food table. Rob and Jared had already left but again, I was confident I would soon catch them. As I was about to leave I noticed some Prime Bars and stuffed one in my pack, in case I fancied more savoury food during the next leg. A slightly longer stop this time at five minutes but this race wasn’t going to be completed standing in the checkpoint, so feeling more positive than before I gave my goodbyes and headed up the road. This leg commenced with a long uphill drag, lasting nearly three kilometres. Initially on the road, then back into the trees, before finally heading out across open fields. I quickly caught up with Rob on the climb and we continued together, with Jared leap frogging around us in what appeared to be a run walk strategy. At last the forty mile marker appeared before us and I sent a quick text message to my wife and social media update as I climbed, this time with a more positive tone and talking for the first time about finishing. I was starting to feel stronger and stronger. Was the looming finish maybe lifting my spirits? As we started our descent, in the distance we could see the fountains at Stanway House spraying high into the air. What followed was another long runnable section down and around Stanway House, with intermittent walking breaks to ease our legs. I was feeling good, like I was finally in a rhythm and able to run. I was conscious though of the growing fatigue in my legs, hardly surprising considering this was the furthest I had run for nearly a year, so I was trying to conserve energy as much as possible for the final few miles of the race. We passed a few more runners during this stretch and Jared continued to be in and around us as we ran through the parkland surrounding Stanway House, towards the pretty village of Stanton. More runners were passed on our approach and run through Stanton. As we left the village and the seventy kilometre mark was passed, the ground kicked up once again for another long steep climb. My strength was growing and I dug into the hill and kept up a brisk walk, quickly pulling away from Rob and passing a couple of others on the climb. Jared was also moving strongly and was a few hundred metres ahead of me as I finally hit the summit. A quick check behind showed nobody in sight and as my mojo appeared to be back, I decided to push on and broke into a run. 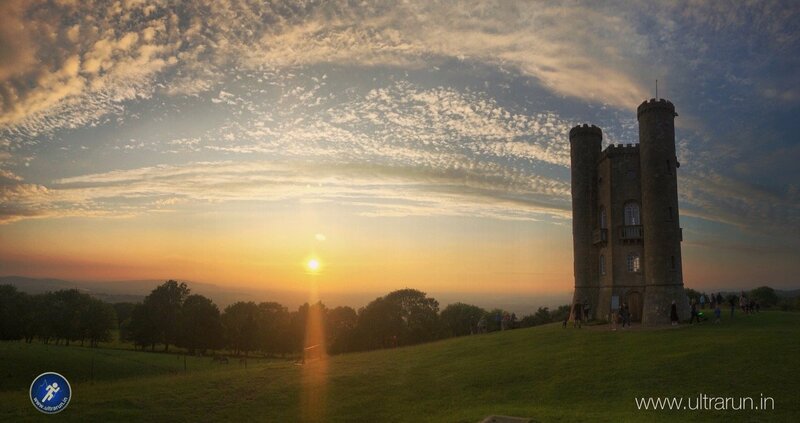 As I ran I spotted Broadway Tower away in the distance to my right for the first time. It was great to see it, even if it did still seem a long way away. With my strength returning, I immediately started to do the mental calculations. Could I still manage a sub ten hour finish? It seemed unlikely but I felt the desire to try, so pushed on towards the final checkpoint in the village of Buckland. Down I ran towards the checkpoint. My legs felt tired but I pushed on, forcing myself to only drop to a walk on an uphill and running at all other times. The checkpoint was at the far end of the village and as we passed people they gave their congratulations. I was slowly catching Jared and as we arrived at the checkpoint I finally caught him and we turned and ran into the checkpoint together. Leg 8 – Buckland to Broadway Tower / The Finish! I had already decided that this checkpoint was going to be a quick turn around, a splash and dash before heading back onto the road towards the finish. I wanted to get this done! Before arriving I had already planned my stop and decided that a single flask of water should see me through, as there wouldn’t be enough time to absorb and benefit from any Mountain Fuel calories. However, when the Marshall asked if they could fill my bottles I instinctively gave him two – doh! I dumped the Prime Bar that I had carried from the last checkpoint and quickly ate some more watermelon and oranges while I waited for my bottles. I was tempted by the sandwiches but wasn’t sure what was in them, and as the race should be over in around an hour, I figured I didn’t need the extra calories. My bottles duly arrived and I quickly drank half of one before stowing them in my vest. It was still a hot day and better to be safe than sorry I thought, figuring I could always ditch the water later on if need be. As I finished my fruit the marshals congratulated us on a good run, discussing amongst themselves that we must be in the top thirty runners. Top thirty! Really? After the day I have had? This was the shot in the arm I needed, so I joked that I had best get on my way then and headed out of the checkpoint, leaving Jared behind and following another runner who was just leaving. Ahead lay just eight and a half kilometres to the finish. 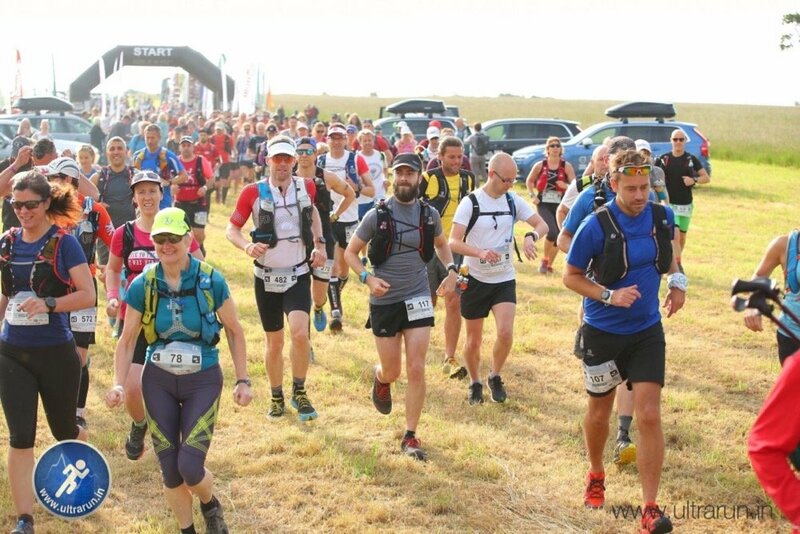 I knew it would be relatively easy running for the first three or so of those, before the final five tipped uphill, with a nasty sting in the tail and a tough final two kilometres uphill to the finish at Broadway Tower. My legs were feeling strong, so I decided to make the most of them and broke into a run. As I overtook the runner I had followed out of the checkpoint, I joked that it was just one final big push and we were done. He laughed and broke into a run behind me. I checked my watch. Could I make sub ten hours? Ordinarily eight and a half kilometres in forty five minutes wouldn’t be a problem but with nearly fifty miles in my legs and the finishing climb to come, I knew it would be pretty much impossible. Never the less, I decided to give it my all and with that I was off! Down the road I ran, crossing the main road and heading on along a lane out into the countryside. The route was taking an elongated loop out into the valley before heading back to Broadway. As before I forced myself to run when the terrain allowed, only allowing myself to walk when the gradient went uphill. I was running slightly scared, out in front of Jared, who had been running strongly for hours and the other runner I had just passed, who was an unknown quantity. The road dipped beneath a railway line and kicked back up slightly, so I eased to a walk to give my legs a breather, even if only for ten metres or so. Behind I could hear footsteps closing fast, which could only be Jared or the other runner – sorry I never got your name or number – so as I crested the climb I broke into a run once again. For the next kilometre I ran like my life depended on it, at least it felt like I did, although the data shows I was only pushing around 5:40/km. I could feel my legs tiring but knew that by now I had just a little over five kilometres to go to the finish. In my head I crunched the numbers and decided that if I could get into the foot of the final climb in front, I would back myself to make it to the finish ahead of those behind me. My racing brain was back in play, it may have taken nearly forty miles but it was good to have it back. I finally left the road and entered the fields once again and slowed to a walk as I passed through the gate. Looking behind me I expected to see my chasers in hot pursuit but was surprised to see the road totally empty. Had I imagined the footsteps behind me? Regardless, this was no time to give up but I rewarded myself with a short walk before breaking into a run once again. My legs were feeling it now and the sun was sapping my strength. Again I crunched the numbers and decided to adopt a run walk strategy, running for a kilometre and then walking for two hundred and fifty metres. From what I had seen of Jared for the last few hours, I suspected he was using a run walk strategy too, so figured I could afford to do the same. The next kilometre seemed to take forever and by now I was totally in the zone and only able to briefly say hello to walkers as I passed them. Finally as I passed through a caravan park of sorts, the kilometre mark finally ticked over and I gratefully dropped to a walk. Soon I was back running again and out in the open fields but I was now turning back towards the village of Broadway and this spurred me on. It was a little stop start through the gates but I tried to keep up my pace as best I could, although I did cheat a little and maybe walk for a few steps more than I should, after each gate. The path looped back and forth, easily navigated with the excellent signage from Threshold Sports and I was grateful that I wasn’t having to map read as well. I knew I was into the final five kilometres now, as I could feel the ground tipping upwards beneath my feet and I was struggling to keep running. The fifty mile marker came and went. I could almost smell the finish! Finally I turned onto the High Street in Broadway but by now I was struggling to run, even on a shallow incline. I was resigned to walking and tried to keep a brisk pace as I marched through the masses of people on the streets, out for the weekends arts festival. I ran when I could but walked in the main and the High Street seemed to just drag on and on. Surely the turn uphill towards the finish would arrive soon? At last it appeared and I turned off the street and crunched across some gravel, through a gate and back out into the fields for one final time. Ahead I could see the ground becoming even steeper but somewhere up there in the trees was the finish. I knew I had given it my all in the final few miles and was now resigned to walking it out to the finish. I had reached my target of getting to the base of the final climb without being overtaken but at this stage I didn’t care if anybody came from behind. I had given it my all and I had nothing left to give. My legs felt weary as I trudged uphill, in fact I felt tired all over. I ditched the remaining water from my bottles, as it was surplus weight at this stage and every little helped. As I walked I quickly sent a text to my wife, telling her I had nailed the last few miles and that there was a possibility I may vomit once I cross the finish line. I was not joking! On and on I climbed before eventually I could hear shouts and cheers floating down the hill through the trees. As I passed through a gate into yet another field I caught sight of another runner ahead in the distance. I dismissed them as too far away to catch, so held my pace and got my head down to continue my climb. As I reached the end of that field, I looked up to see that I had halved the distance to the other runner already. It was still questionable whether I would catch them and they were now aware of my approach, checking back occasionally. As before I kept my head down and focussed on ticking off step after step at a steady pace. Finally, after what seemed like an age, Broadway Tower could be seen peering over the trees and as I left the final field I was right behind the other runner. Still walking I passed them and we shared congratulations about having survived the climb. I pushed on, enjoying the cheers from the supporters gathered around the base of The Tower. Through one final gate and I could see the finish line just a few hundred metres away. It wasn’t immediately apparent which way to go, so I checked with a supporter who pointed me in the right direction. The last thing I wanted was a sprint finish but I figured that was what I needed to do, having just overtaken someone, so as they approached the final gate I bolted for the finish line. Down the finishing shoot I ran, catching the official photographer by complete surprise, so I shouted a warning and he scrambled for his camera, grabbing a few shots as I flew past him. Around the corner I ran, over the timing mats and under the finishing arch, pumping my arms in the air, with cow bells ringing and applause from the race staff at the finish. I had done it! I had struggled through some real low points to complete The HEINEKEN Race to The Tower in a time of 10:17:28. I had missed my secret sub ten hour target by just under 18 minutes but frankly I did not care! The medal was placed around my neck and an open can of ice cold alcohol free beer from the race sponsors was thrust into my hand. Boy did it taste good! I moved away from the finish and sat down against some conveniently placed bean bags near the finish line and soaked it all in. What a day, what a testing day! The heat, lethargy, stomach cramps and general mental demons really made the first forty miles a struggle. It all came good in the end though and it was satisfying to be able to finish strongly and really feel like I had left it all physically out there on the course. The biggest satisfaction though were my hips and the injury that I had fought so long to overcome. Yes, I would need to see how my body recovered but at that moment it felt positive and I was hopeful I would not see any negative effects. I relaxed in the sun, sending text messages to my family and responding to others I had not been able to get to during the day. After about ten minutes Rachel crossed the finishing line to be greeted by her family, an amazing turnaround after the troubles she had been having at the checkpoint at Hailes Church. We chatted briefly and on checking the results I was shocked and surprised to find I had managed to finish in 24th place, with Rachel coming in in 26th. It was also pleasing to see Rob cross the line shortly afterwards in 27th place. Between finishers, I popped across to the finish line photographer, to apologise for making him jump. He apologised for nearly missing me and dragged me back into the finishing shoot, for a second set of photos, slightly more relaxed this time. After that I grabbed my drop back and headed to the car to start my recovery and get cleaned up. A bottle of Mountain Fuel Recovery Fuel was quickly consumed and I headed over the marquee to get changed. While there were no showers available, Threshold had set up a pamper tent, where all competitors could go in and change in private and also freshen up with wipes and various creams. A really nice touch! A number of us were looking for the massage tent, which we expected to find at the finish but were subsequently told wasn’t available. This was a disappointment, doubly so when we were told there was one at the half way point for the two day runners and walkers. A note to Threshold for future events, having some masseurs at the finish for the double marathon runners would be greatly appreciated. I stretched and then made use of the food that was available at the finish for all runners. This was served canteen style and while basic was plentiful and I quickly ate two plates worth. I had been dreaming of pizza for the last few miles, so was excited to find this on offer and tick that off my list for the evening. As the sun started to drop, so did the temperatures. I called home to chat with my wife and cheered home some more finishers, before retreating to the warmth of my car and heading back to the hotel for a cold bath, warm shower and sleep. Well there we have it, The 2018 HEINEKEN Race to the Tower. It was only after I returned home that I checked the online results and saw how well I had done. Twenty fourth out of nearly five hundred people is not to be sniffed at. Neither is nineteenth out of three hundred and twenty five blokes or fifth in an age group of just over a hundred and thirty. If someone had offered me those results at the outset I would have snapped their hand off, as it was way beyond my expectations. As usual though, as time passes I start to be critical of myself. The sub ten hour I had secretly hoped for, was there for the taking, if I had got my racing head on earlier. That would have pushed me into the top twenty and who knows where from there. On the plus side, I met two of my three pre-race objectives, namely to finish and stay injury free and for that I should be thankful. The third one was to have fun. 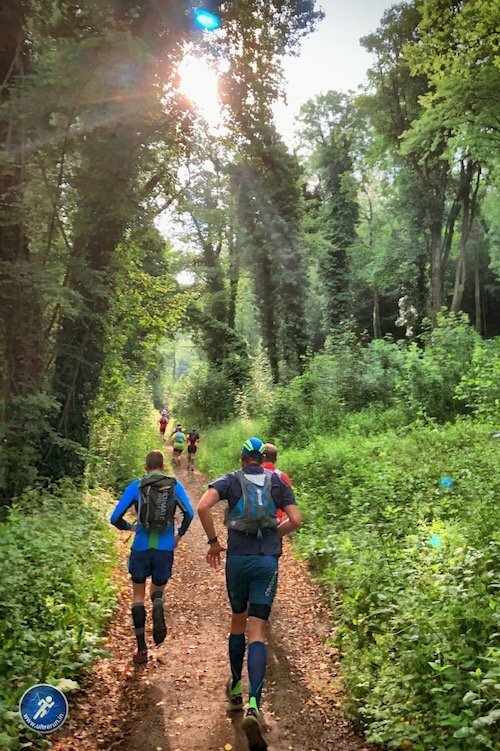 While yes I was definitely enjoying it towards the end and in the immediate aftermath, the first forty miles were largely a dark place, during which I questioned my ability to continue as an ultra runner. So on balance, it was a race of two halves or maybe two thirds and a third? My build-up to this race was also less than optimal and although difficult to manage, long overseas trips in the days leading up to a race are best avoided in the future, if at all possible. My race nutrition also needs to be sorted. Mountain Fuel Extreme Energy was the base of my race nutrition and worked well, and the oranges obviously removed the cramps once I found them. Moving forward I will look to carry a satsuma or similar in my pack in future races just in case. I never really nailed the rest of my nutrition though and was going checkpoint to checkpoint. I ate a lot of fruit, which was great, as were the Marmite sandwiches just after half way. By that point I was craving savoury choices and I need to think about that for future races and have savoury choices with me or a plan on how to get them at least. Of the race itself, well I have to say I was really impressed. It was a slick and professionally run operation from start to finish. The course itself was stunning and while I did not necessarily appreciate it at the time and wasn’t in the right place mentally to take my usual hoards of photos, it was beautiful none the less. Its challenging in places too, with plenty of vertical and some of the steepest ascents I have climbed during a race. If I was to make suggestions to Threshold, then it would be to look to improve the half way checkpoint, which was the least stocked of them all and also make massage available at the finish for the double marathon runners and walkers. That said, neither of these would deter me from running this or any of the other races in their series and speaking to other runners out on the course, they had nothing but praise for their other events, Race to The Stones or Race to The King. Many thanks to Threshold Sports for laying on such an amazing event and giving me the opportunity to take part. To the excellent crew and marshals across the course, thanks also for your superb support, it was much appreciated, even if I struggled to smile at times. Finally to all those I ran with during the day and who finished this event, congratulations one and all. Special mention must go to Rachel (Beecham) and Rob (Moore), who I spent a decent amount of time running with and helped drag me through some of the darker parts of the race. Many thanks and much appreciated! And so my attention now turns to Lakeland 100, just six weeks away as I write this. 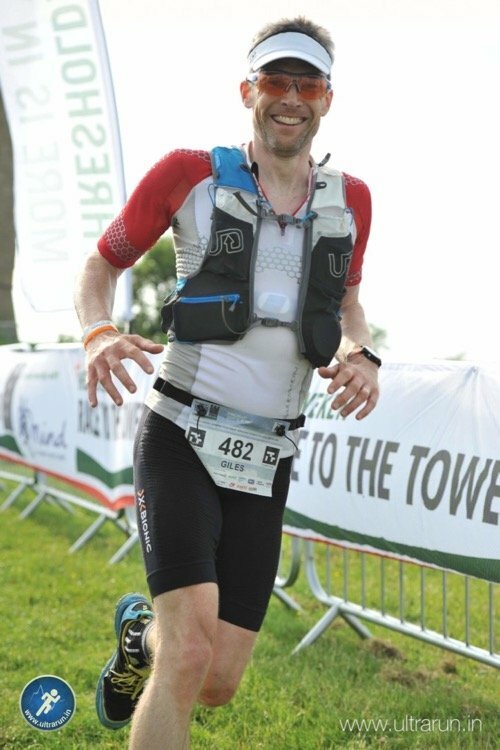 At mile ten of Race to The Tower, I thought I was a million miles from being able to return to Coniston and attempt my second finish at Lakeland 100, putting last years experience behind me. Now I am more confident. Yes it will be a mammoth challenge, running a hundred miles always is but with a bit more training, my nutrition nailed and a sprinkling of luck thrown into the mix as well, I should take the positives from this event and walk confidently towards the start line at the end of July. I hope you enjoyed my review of The 2018 HEINEKEN Race to the Tower? For further information about this and the other events laid on by Threshold Sports be sure to check-out their website. 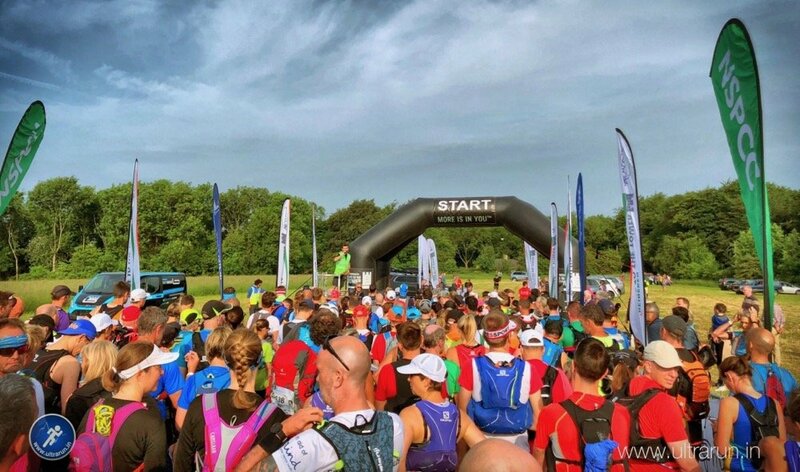 Next years race takes place on the weekend of the 8th and 9th June 2019 and you can register your interest to be notified when entries open. 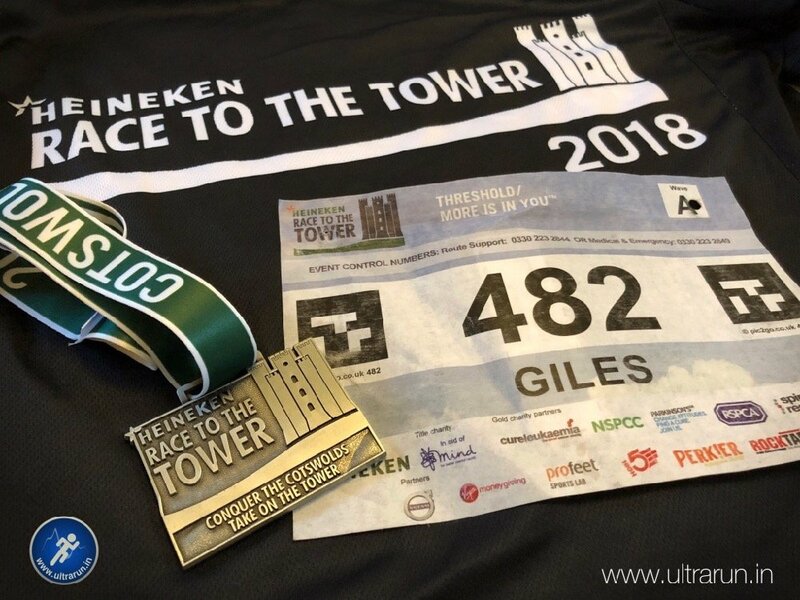 If you are looking for a challenging and enjoyable, well run, running adventure in a beautiful part of the country, then I can definitely recommend The HEINEKEN Race to the Tower to you. The Road Ahead is Ultra Long and also a Little Confusing!